We take your map based visualization down below the Google Map. 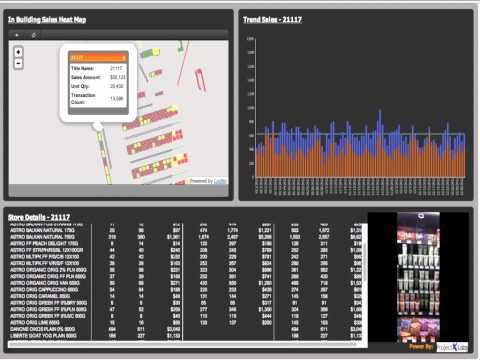 Now you can see in building or site based visualizations that show performance inside your facility. Built to integrate into MicroStrategy in a seamless way. We leverage the MicroStrategy plug-in architecture for web to allow us to integrate with web and mobile. No need for special geocoding or naming, we offer the product in an annual SaaS model and also have services and capabilities to help clients bring their in site visualizations to life. Integrate with RFID data to track and see the flow of assets, customers or manufacturing.